Circa 1936-1937: The vintage Fiesta covered onion soup bowl will only be found in the first six colors and to find any at all is a delight. 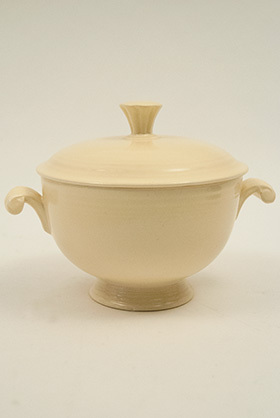 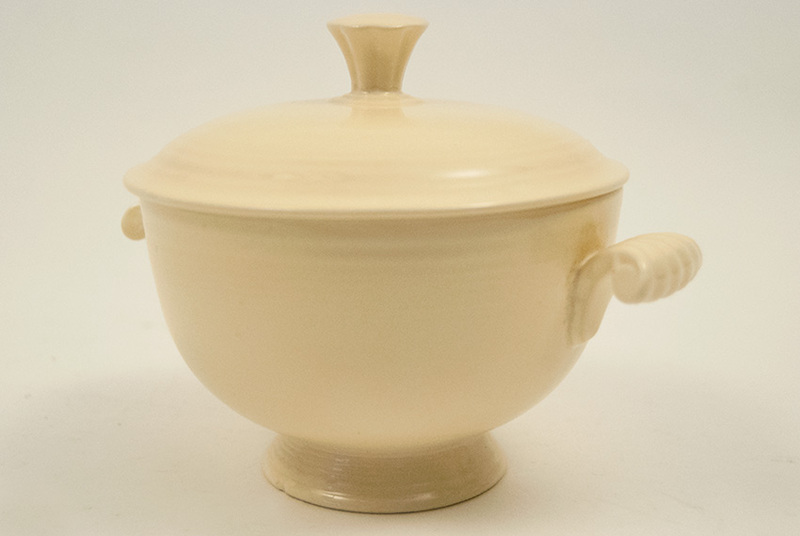 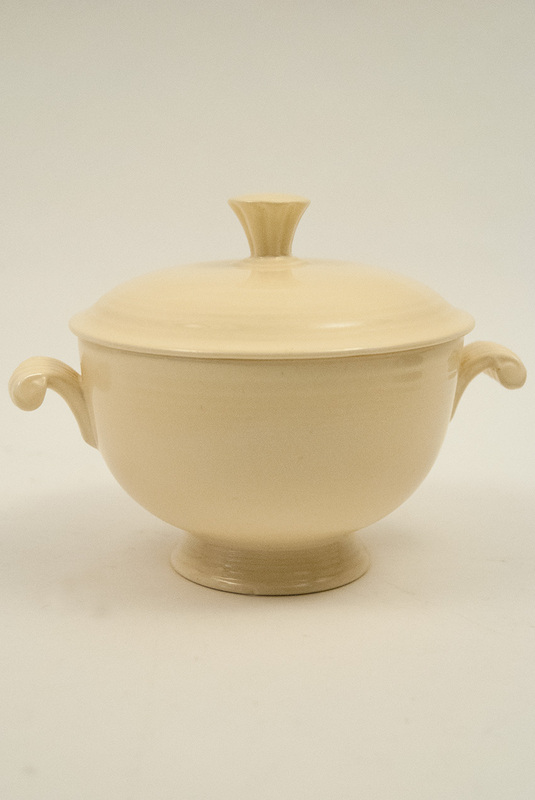 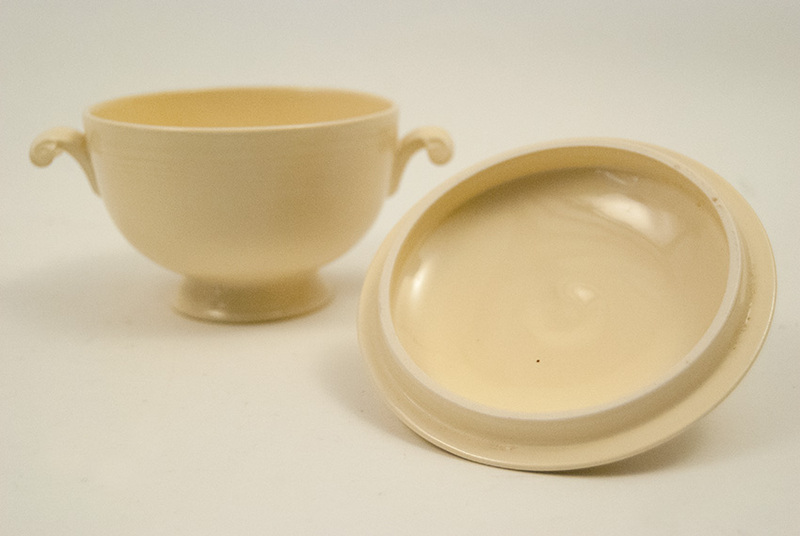 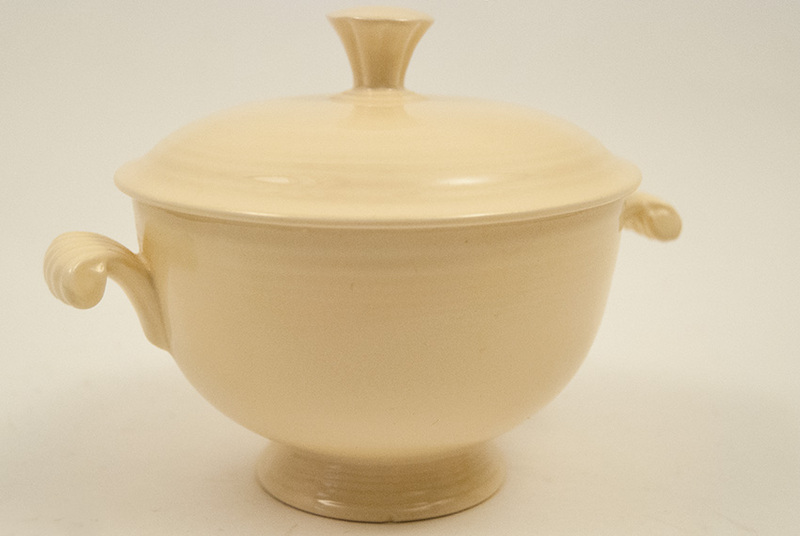 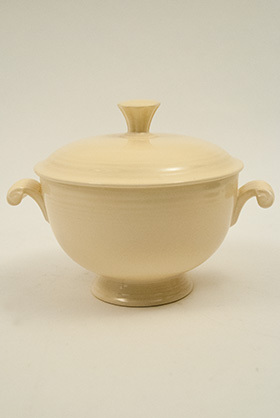 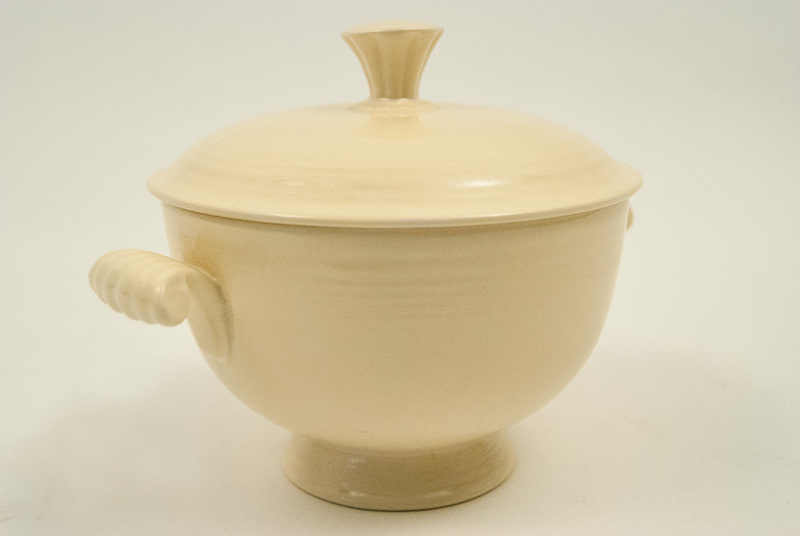 This ivory example is in excellent condition, without signs of use and no chips, cracks, touchups or irregularities, just a premier example of one of the most elusive pieces in the entire vintage Fiesta pottery line. The creamy vellum ivory is showcased here. Measures 4 1/2" tall and just over 6" in width from scrolled handle to scrolled handle.